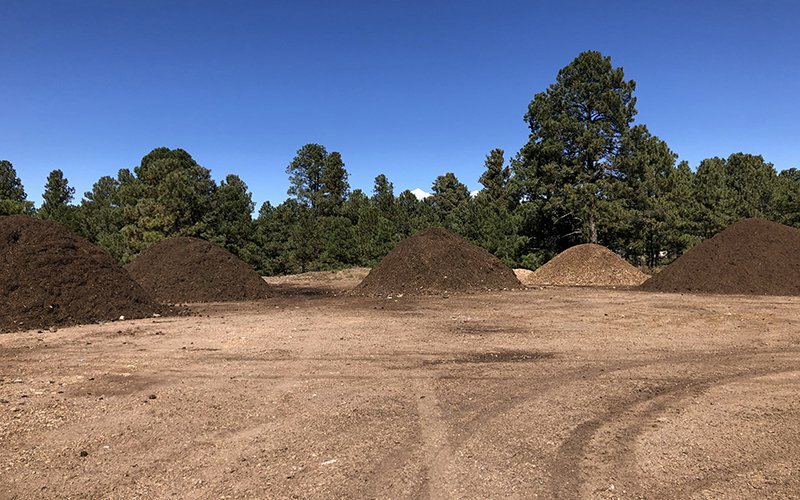 Compost piles are separated by how old each pile is on Northern Arizona University’s campus. The majority of dining hall food waste is used to create these dirt piles. 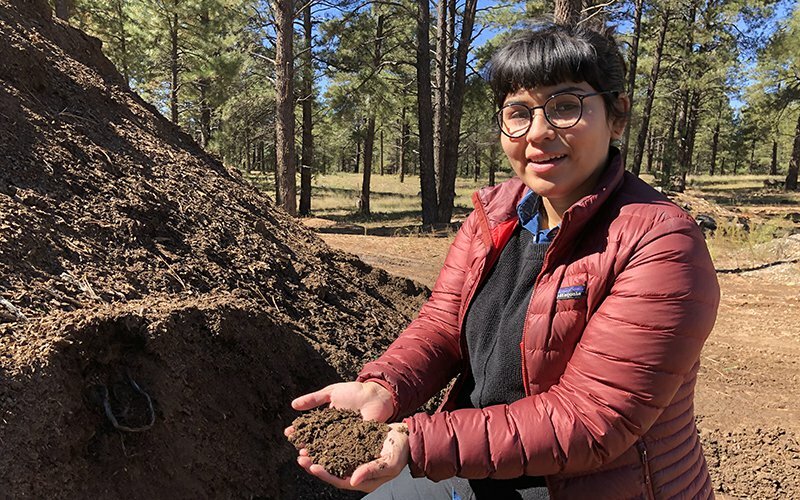 This is how a new pile of compost gets started on Northern Arizona University’s campus, with raw food scraps and coffee grounds. 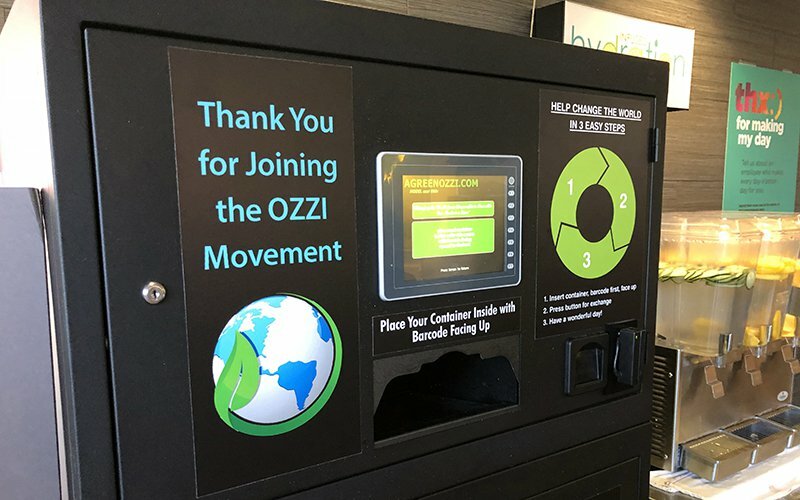 This machine collects reusable food containers and cups after students are done using them, in one of Northern Arizona University’s dining halls. Students pay a one time fee to access the eco-friendly food boxes. FLAGSTAFF – Universities in Arizona are stepping up how they handle food waste and single-use plastic. All three of the state’s universities have robust composting programs to reduce what ends up in landfills. But Northern Arizona University has expanded its efforts to include reusable food containers, and it banned plastic straws this year. Now, Flagstaff businesses are taking similar steps. 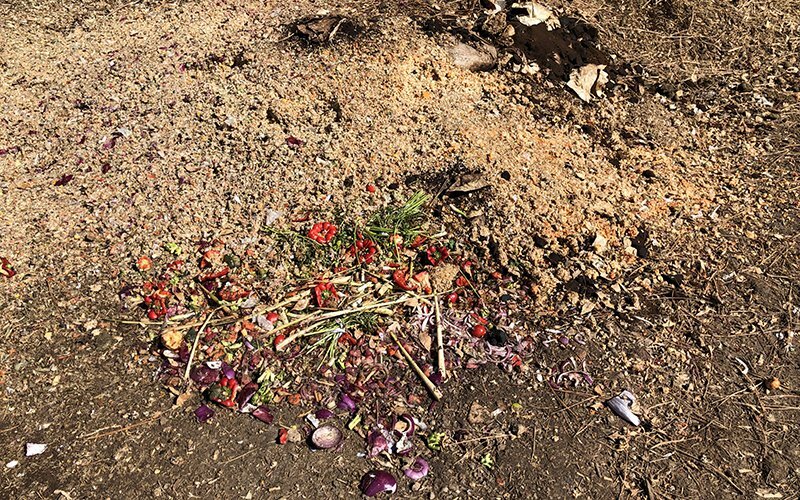 Composting saves the university on garbage disposal costs. Last year, more than 300,000 pounds of food waste made it into the compost piles. That number could be more this year, as campus dining now uses straws that are 100% compostable. Arizona State University has similar programs in place. Food is composted and plastic straws are not available in dining halls.